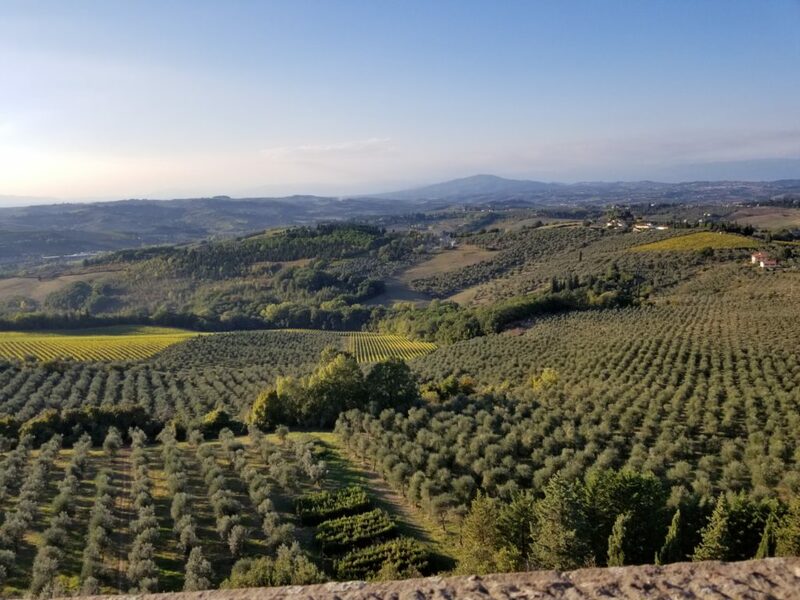 When heading to Tuscany to visit its wineries, most travelers head out of Florence and drive for a while to get to the most famous regions, like Montalcino and Montepulciano. But did you know that great wine, particularly Chianti, is made right outside the city in the surrounding hills? Chianti Colli Fiorentini is one of a number of regions for chianti production and has been classified since the 1930s, making it one of the earliest to be officially recognized. It is also the only DOCG (Denominazione di Origine Controllata e Garantita, Italy’s highest quality designation) classified region for Chianti production that can include “Firenze” (Italian for Florence) on the label. As such, the wines from Colli Fiorentini are very popular in Florence itself, and are a source of pride among locals. Like in many areas of Tuscany, grapes have been grown in Colli Fiorentini for a long time, and wines from the region have a reputation for being approachable and drinkable fairly early after release. 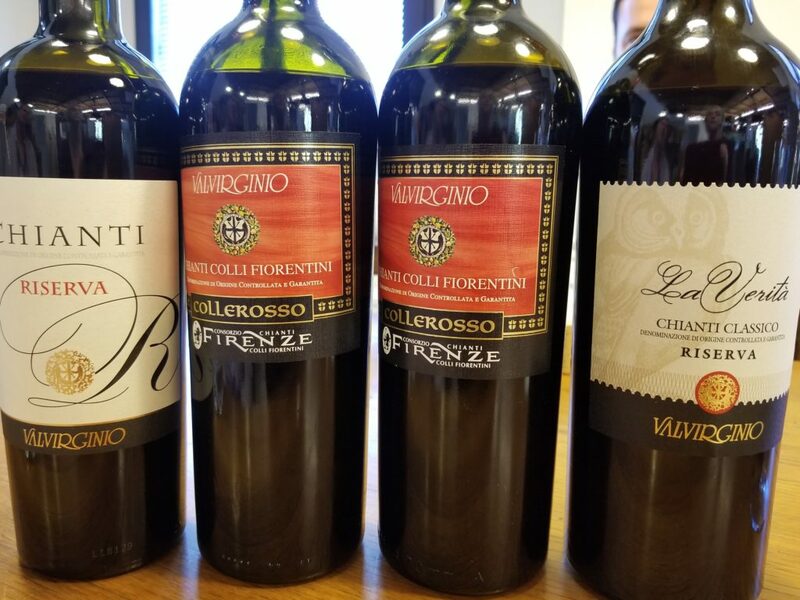 Now, thanks to a new generation of owners who are working to increase awareness and extend their reach in the marketplace, The wines for Chianti Colli Fiorentini are starting to gain a reputation outside the region, as well. 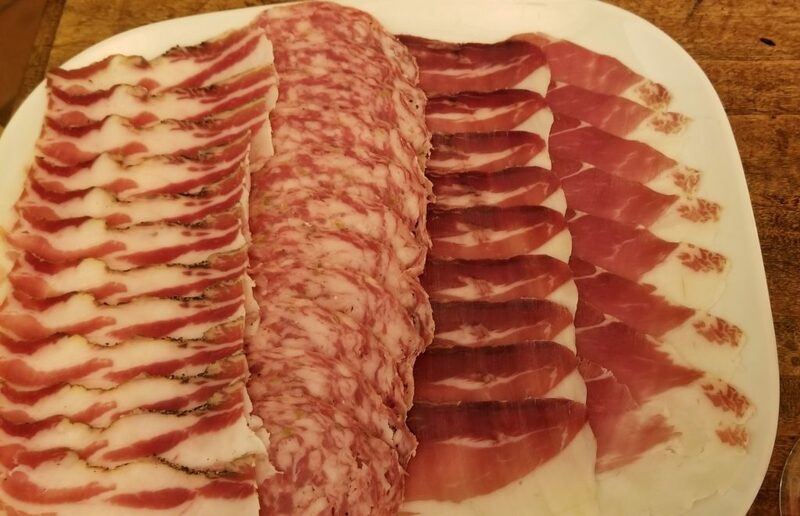 The Connected Table recently spent time in Colli Fiorentini visiting a number of producers, both large and small. We were thrilled by the wines we tried, and also by the people we met, who are warm and inviting to oeno-tourists. In fact, oeno-tourism is a big part of their livelihood, and almost all the wineries we visited were also “agriturismo” (Italian for Bed & Breakfast) properties, so overnight stays are also possible. While some white wines are produced (mostly from Trebbiano and Malvasia), including a number of excellent Vin Santo wines (sweet dessert-style wines made from grapes that have been hung to dry and concentrate their sugars before being pressed), most wines are reds made from Sangiovese with other grapes like Canaiolo & Colorino blended in depending on winemaker preference. Malanchini. ( www.malenchini.it ) Owned by the Malanchini family since the 1830s and run by Diletta Malenchini. The family also operates an Agriturismo on property and hosts weddings in season. Wines to look for include Chianti and Chianti Riserva which is made from 100% Sangiovese. La Querce. ( www.laquerce.com ). Located in Impruneta, La Querce’s wines are made by Marco Ferretti, who is also the current president of the Colli Fiorentini Consorzio of producers. 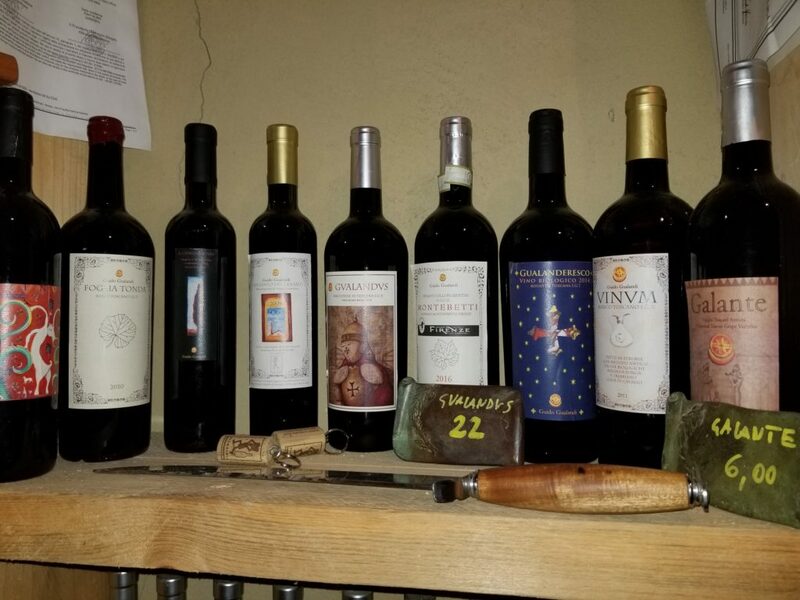 Wines to try include Sorretolle, La Torretta Riserva, La Querce Toscana, and M.
With Camilla Carrega, Volognano (listen to our show with Camilla. Scroll to the end of this post. Volognano. ( www.volognano.com ). A fully restored 11th century castle and adjoining medieval village is the backdrop for Volognano’s wines which are delightfully modern in style. Camilla Carrega, third generation of the current ownership runs the winery and extensive agriturismo. Wines to look for include their Toscana Bianco, a delicious blend of Trebbiano and Malvasia, Noi Chianti CF, Baccante, a Sangiovese/Cabernet Sauvignon blend, and their Vin Santo, Aetius. Tenuta San Vito, ( www.san-vito.com ). Founded in 1960, Tenuta San Vito is 12 miles from Florence and comprises 300 acres with 70 of those dedicated to grapes. They also make some wonderful olive oils and run an agriturismo for overnight stays. Wines include Chianti CF and Chianti CF Riserva, San Vito also makes a delicious Vin Santo aged in Chestnut barrels. San Michele a Torri. ( www.fattoriasanmichele.it ). One of the more established producers in Colli Fiorentini, San Michele has 400 acres with 60 under vine. They also produce olive oils and Cinta Senese DOP salumi from their heritage breed pigs. They make a number of wines and their Chianti CF and CF Riservas are top notch. Quei 2. (www.quei2.com). Certainly the smallest producer on this list, and maybe the smallest we’ve ever seen. Quei 2 makes only 6000 bottle per year from grapes grown in 50 year old vineyards, but the owners, both former engineers with a passion for making wine, are investing both time and resources to secure their future. Wines include Le Casine Bianco, Rex Rubrum Chianti CF, and 208 Rosso, a Sangiovese/Merlot/Canaiolo blend. La Colombaia Villa di Bagnolo. ( www.villadibagnolo.it ). A beautifully restored Villa and property owned by the Beltrami family since the 1970s, La Colombaia makes a variety of wines including Chianti and Vin Santo. The property is also available for private events. Their Terre delle Fornaci was a favorite. Fattoria di Bagnolo. ( www.bartolinibardelli.it ) Located directly across the vineyard from La Colombaia, this winery is one of three multi-use properties in Tuscany owned by the Marchesi Bartolini Bardelli family and is their premium wine estate. Marco Bartolini led the winemaking for the last 30 years, and recently passed oversight to his sister. Their Chianti CF wines are made from traditional Tuscan varieties like Sangiovese and Colorino, They also make a Super Tuscan called Caprorosso, which is very good. Castelvecchio. (www.castelvecchio.it). 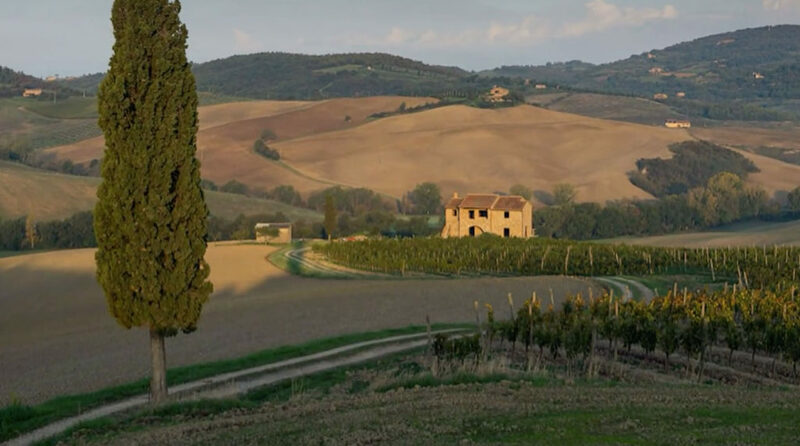 Founded in 1962 by the Rocchi family, Castelvecchio is run by brother and sister Filippo and Stefania Rocchi and produces about 100,000 bottles annually from its 75 acres of vineyards planted to traditional Tuscan and French grape varieties. Favorites included Il Castelvecchio Chianti CF, Vigna La Quercia Chianti CF riserva, and Numero Otto, a red made from 100% Canaiolo. Tenuta Il Corno. ( www.tenutailcorno.com) A sprawling estate built in the 12th century and once the summer residence of the Grand Duke of Tuscany, Il Corno has been owned by the Frova family since 1911. Maria Giulia Frova runs the wine program and is nicknamed the “Queen of Colorino” due her affinity for, and expertise in coaxing Colorino to life in the bottle. “Corno Divino” is a wonderful restaurant on property, and accommodations are also available. Fattoria de Fiano. (www.ugobing.it). Winemaker Ugo Bing’s family has been growing grapes on their property since the 1940s and make some deliciously interesting wines form their panoramic hill-top vineyards, including some from grapes not widely planted in the region like Petit Manseng and Abrostino (only planted by about five producers). Wines include Chianti CF, Fianesco (their Super Tuscan), Pugni d’Abrusco (a red blend of Pugnitello and Agrostino) and Vin Santo. Le Torri. ( www.letorri.net ). Milan native Beatrice Mozzi runs this agriturismo and winery for her family, and winemakers Giovanni Sordi & Alessandro Maffi make some beautiful wines, including Chianti CF and CF Riserva. Other projects include a delightful Brut Rose sparkling wine (great to sip by the property’s pool while staying the weekend), Soleluna Chardonnay, and Magliano Super Tuscan. Fattorie Giannozzi. ( www.fattoriegiannozzi..com). 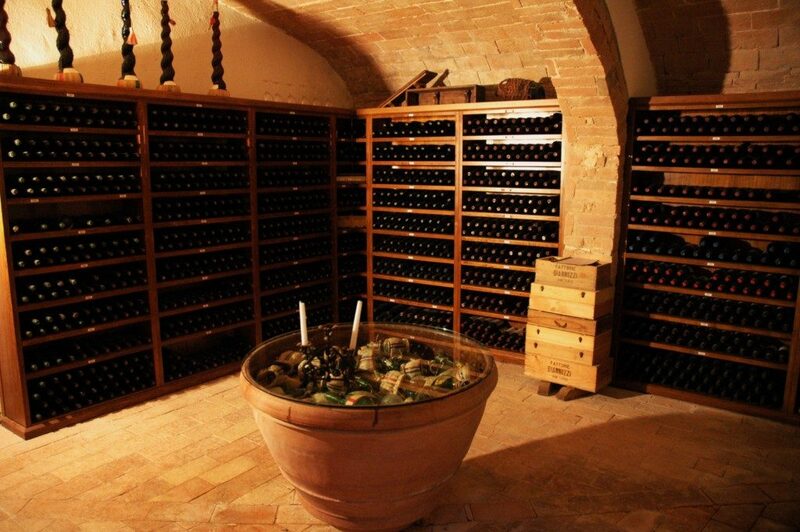 An historic winery owned by the Giannozzi family since the early 1700s. Gianozzi was one of the first chianti producers to export to the U.S. (in the 1930s) and are well established in the U.S. market. Brothers Luca and Simone Giannozzi run the wine, olive oil, and agriturismo. Gualandi. (www.guidogualandi.com). By far the most unique of Tuscany’s wineries. Guido Gualandi’s passion for making wine extends from his passion for history and most importantly, historical winemaking methods and ancient grapes. An archeologist & teaching professor specializing in Mesopotamia, Guido actually researches how winemaking was done in ancient times and re-creates the process to make his wines. He eschews modern winemaking techniques and seeks out and revives forgotten grape varieties. 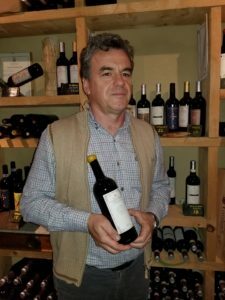 His website states “archeologial wines” are the focus, but we like to call his phenominal wines “Super-Etruscans.” Wines include Montebetti Chianti CF, Gualandvs, and a beautiful Vin Santo. Valvirginio. (www.collifiorentini.it). Valvirginio is produced by the local cooperative winery Cantine Sociale Colli Fiorentini which is owned by about 850 small grape growers in the area. The Cantine also operates a half dozen Valvirginio retail stores around Tuscany to sell its products which include wine, olive oil, and honey. Collorosso is their Chianti Colli Fiorentini wine. Castello di Poppiano (www.guicciardnini1199.it ) The Guicciardini family has been making wine at Castello di Poppiano since 1199A.D. Conte (Count) Ferdinando Guicciardini runs the show and also owns two other wineries in Tuscany which he constantly shuffles back and forth between while overseeing production. Castello di Poppiano is Chianti Colli Fiorentini’s largest producer and Ferdinando was instrumental in gaining the region DOCG status in the 1980s. His wines are well distributed, and he can often be found at the estate, always willing to spend time with guests and tell the history of the beautiful castle he and his wife Annamaria calls home.